For those of you not familiar with the author, Nate Silver is the founder and editor in chief of www.fivethirtyeight.com, a website which features statistically-oriented articles on sports, politics, economics, and whatever else might catch the interest of the contributors. Silver became the ire of partisan political pundits in 2008 when he correctly picked the winner of 49 of 50 states months before to 2008 presidential election. FiveThirtyEight manages to present statistical-based discussion of topics in an interesting way. The Signal and the Noise follows this style as Silver explains how predictions are central to things as diverse as meteorology and baseball. 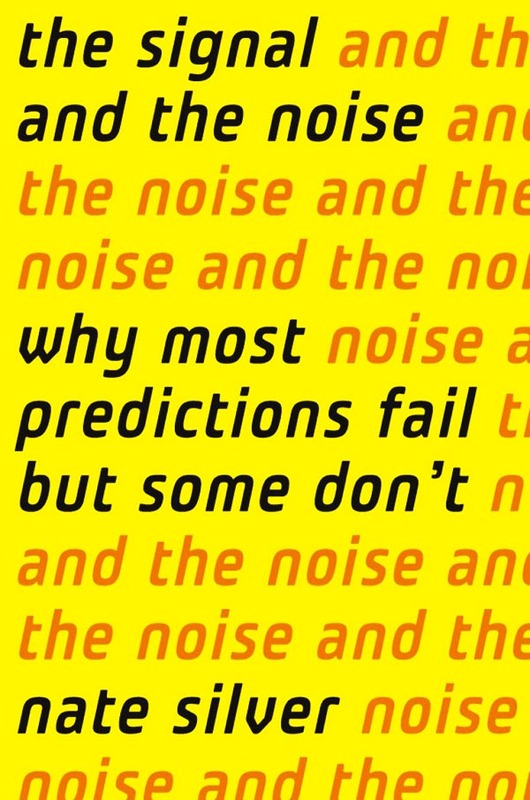 As the title implies, the book revolves around a central issue facing predictions: separating signals (what actually is associated with resulting phenomena) and noise (what might be confused for meaningful information, but really isn’t associated with resulting phenomena). An example he returns to is that who wins the Super Bowl is indicative of how the stock market will fare in the following year. In his book, Silver advocates for a Bayesian approach to statistics. Simply put, Bayesian statistics are one tool which can be used to determine the probability of two phenomena being related, and adjust that probability as new information is acquired. Many of his examples throughout the book explain Bayesian approaches to predicting earthquakes, terrorist attacks, or winning a hand in poker. The Signal and the Noise emphasizes that through statistics, we can understand much of the world around us, but that we must do so cautiously. I found it very interesting and entertaining, and found its approach very accessible for non-experts in statistics.